It’s impressive for a company to go well beyond the realm of manufacturing and dig deep into the science behind its production in order to make something satisfying for its users, but “that’s what it takes to be at the forefront of grinder technology”, Daniel says. “We leave no stone unturned. Anfim has been manufacturing grinders from its Milan factory for almost 60 years. Within that time, the Italian manufacturer has developed the Caimano series, Special Performance (SP) II, Scody II, Practica, and Solida professional grinders, to name a few, helped two baristas win the World Barista Championship by using an Anfim grinder, and is currently the official World Latte Art Championship grinder sponsor. All the while, the brand has continued its dedication to engineering and manufacturing of espresso grinders for demanding baristas the world over. To this day, Anfim’s grinders are still hand built, with the factory producing 15,000-plus grinders per annum with an impressive record of minimal customer complaints and warranty issues, demonstrating its commitment to high quality manufacturing across its production line. 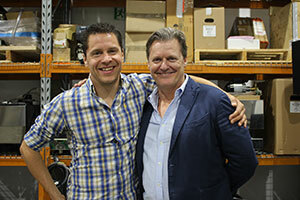 Hemro Group’s Daniel Hofstetter with Charles Stephens of Espresso Company Australia at Anfim’s grinder workshop in Melbourne. 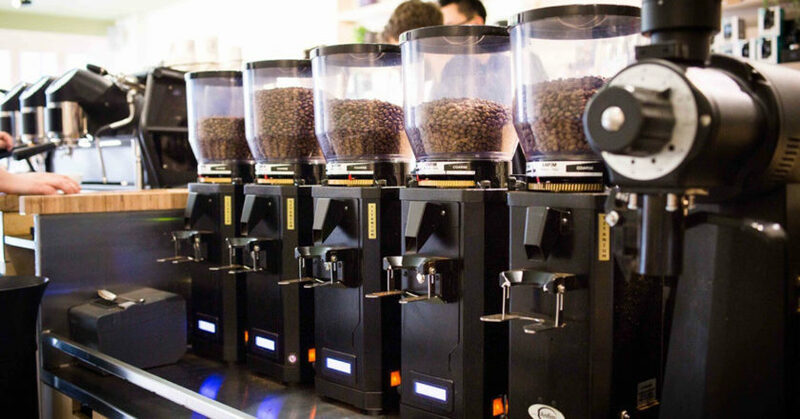 It’s for this reason that Australian importers Espresso Company Australia (ECA) has had a 15-year relationship with the grinder manufacturer, and is excited to facilitate the next level of grinding technology together. Grinding technology has undergone many changes in the past 10 years, with the introduction of models that grind on demand and by weight, but the one thing consumers continue to demand from their grinder, Salvatore says, is a machine to cater to high volume demand. “We put our espresso equipment under hideous work loads in the mornings, and still want it to perform at the same parameters outside these periods, with minimal intervention,” he says. As such, Anfim’s SPII Special Performance grinder is designed with Australia’s “insane work volume” in mind. It comes with step-less grind adjustment to enable the barista to make incremental changes to the precise setting they need to produce the flavours developed during the roasting process, user-friendly software with a precise timer, and is adjustable by one 10th of a second to ensure consistent and exact dosing for constant pour time. Customised titanium-coated 75-millimetre burrs operate at a low 650 revolutions per minute (rpm) and offers a minimal degree of wear for longevity. That’s paired with a powerful dual fan system to stabilise the internal temperature, and reduce heat emission. 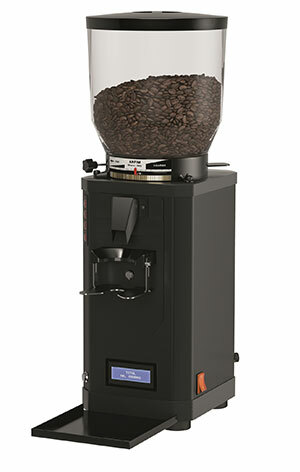 Salvatore says Anfim has always been a flat burr manufacturer and has stood by this choice since it conceptualised the SPII in 2011 using the basis of its existing Super Caimano model (now the Scody II) but with a lowered rpm, more aggressive burrs to increase grind output, and improved ventilation performance. “[We spent] the next few years showing our customers that a flat burr grinder could cope within a high volume café,” Salvatore says. Anfim’s SP-II special performance grinder. The use of flat burrs lends itself towards narrow, predictable, and consistent particle size distribution (PSD), which allows the barista to push extraction higher and for the roaster to roast lighter and still reach a pleasant espresso when extracted well. PSD for espresso, however, remains one of the industry’s greatest grey areas, a topic first thrust into the spotlight when St Ali barista Matt Perger addressed the importance of PSD in his 2013 WBC routine, forcing the grinder manufacturing industry to “step up and smarten up”. “Although we are aware of the benefits of a relatively narrow particle size distribution, it is interesting to reveal results for an espresso grinder like the SPII, which is renowned for balance and higher extraction,” Salvatore says. When a roasted coffee bean is shattered in the grinding process and one gram of espresso grounds is distributed, there can be anywhere from 600 to 1.2 million particles, which Anfim has determined thanks to the use of high-speed cameras, 3D imagery and high beam microscopes. This enhanced image is empowering the grinder manufacturer to develop new disc geometry and paint the picture of what impacts particle size distribution, including heat and its impact on extraction consistency and taste. “Heat remains one of those problem areas. It’s generated from the motor, the grind chamber, and grinding discs, the breaking of beans, and friction between ground coffee particles. That’s why baristas frequently need to adjust their grind size,” Daniel says, not to mention Australia’s long summers and insane output, an unfavourable match.